For those who cannot receive or send out messages using Whatsapp. Its not your phone or network issue. Edited by dcb, 26 January 2016 - 10:41 AM. Feels like my entire world is down as well. Haha just realised i have 2000 smms i can use and i never use them. "... cease not till death ..."
I believe its the group chats. Whatsapp down = disconnected from friends / can't reply to clients = no need to do work. 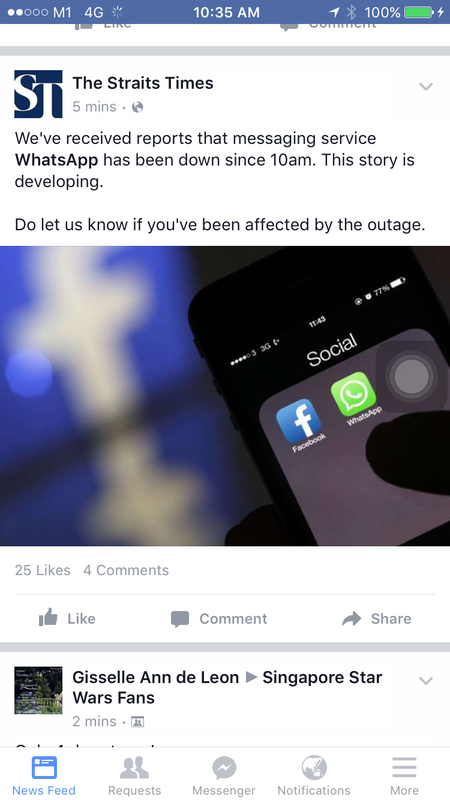 Wa the whole country goes down with an app. Just as I celebrate the death of my work, whatsapp is back. My customer always whatsapp me their orders and inquiries one leh.